Protein can be found in many foods, like chicken,eggs, beef, fish, and soy. But of all proteins out there, P09X Whey protein is packed with the essential nutrients you need after a P90X workout. While other foods contain good amounts of protein, they do not compare to the quality of Beachbody’s P90X whey protein powder. In comparison, P90X Whey Protein Powder contains more high quality nutrients needed in aiding recovery and building of muscle. Whey protein comes from milk, a natural byproduct of when milk turns into cheese. Best consumed immediately after workout, it helps the muscles recover and replenish the nutrients it needs to keep that lean muscle mass. The high contents of BCAA (branched-chain amino acids) in whey are essential amino acids in muscle protein, and help reduce the amount of muscle protein breakdown during strenuous exercise like P90X, and retaining muscle tissue. Whey protein is not just for P90Xers,bodybuilders or elite athletes, it is essential for everyone. 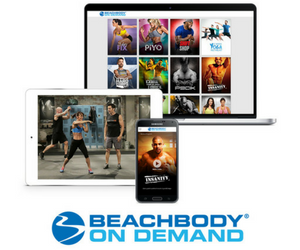 It contains the highest biologically active protein known to measurably enhance muscle recovery after exercise, which is imperative after that intense INSANITY or P90X workout, which is exactly what that the BeachBody P90X Whey protein provides. If you want to lose weight and some extra fat, whey protein can be very useful because a good intake of protein balances blood sugar levels, which keeps your energy up and keeps you from going hungry. This allows you to control your diet more effectively. P90X Whey Protein Powder is low in fat (2g), low in carbs (4g), which is perfectly in line with your diet. I like to add oatmeal into the shake for an extra boost of fiber. 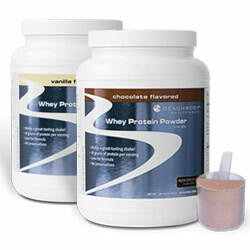 The Whey Protein Powder also comes in two delicious flavors: chocolate and vanilla. While you don’t need hundreds of grams of protein a day like some people believe to build muscle, you do need a certain amount. Extreme consumption of protein is not recommended as it may cause liver to overload and not optimize the protein absorption. With the P90X Whey protein Home Direct Option, you can get a shipment every 30 days, which is perfectly portioned for your protein consumption. 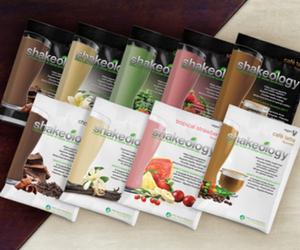 Have a Shakeology in the morning and a P90X whey protein shake after your p90x workout, or add a scoop of whey to a pack of Shakeology for the ultimate meal replacement. You’ll be melting off the fat in no time!